Applications are opened for Anant Fellowship 2019-20. Anant Fellowship is the flagship program of Anant National University, a leading private university with design and sustainability at it’s core. ** Open to students from all backgrounds. Preference will be given to students from the disciplines of architecture, design, planning, environmental sciences, civil and construction engineering, and relevant social science disciplines. ** Applicants must have a sound academic record and should have successfully completed an undergraduate or postgraduate degree before the start of the Fellowship. ** Applicants must be able to show a demonstrated commitment to improving the Built Environment and an understanding of the issues pertaining to the area. ** Anant Fellowship is committed to diversity; we invite applications from students and professionals of all age-groups, socio-economic backgrounds, and geographies both in India and internationally. 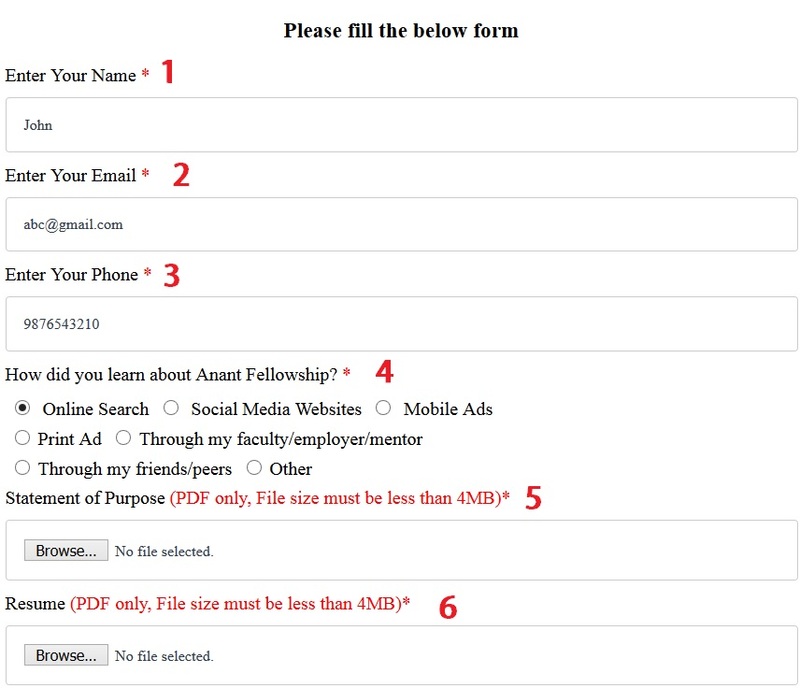 Just follow the below steps to apply for the Anant Fellowship 2019-20. Step 1 : Go to the official website of Anant National University through provided above. Step 2 : Read the instructions carefully and click on the application link at the end of the page. Step 3 : Please fill the application form with the required details and upload the necessary documents. Step 4 : Finally submit your online application. Anant Fellowship has been carefully curated and structured to prepare you to make exponential change – within yourself, to the country, and to the world. Academic rigour and intensity have been combined with first-hand, experiential discovery to create an equitable balance between theory and praxis, between instruction and experimentation, & between paced-learning and open-ended discovery. Application for Anant Fellowship are accepted on a rolling basis. Chances of admission and scholarships are higher for those who apply early due to competition for limited intake and funding. Last date to submit applications is 31st March 2019.